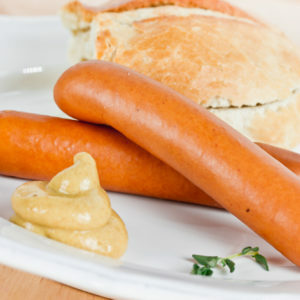 The traditional Nürnberger (or Nurnbergs) sausage certainly is a classic southern German sausage. 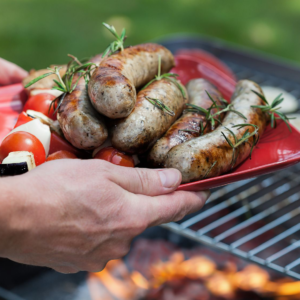 They are already precooked, so grill these sausages to an evenly crisp brown color. 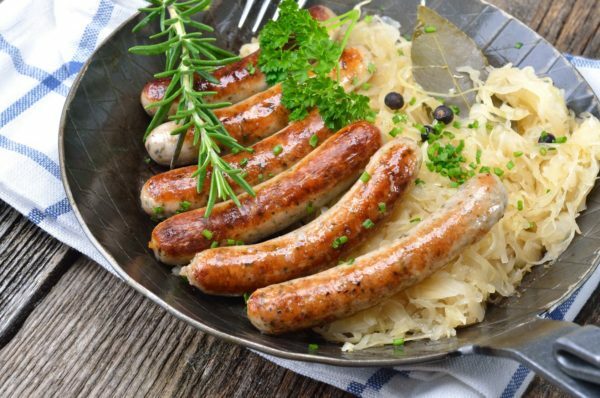 They pair very well with for instance Sauerkraut, mashed potatoes or potato salad. But above all these are a great addition to any skillet, especially with pasta, veggies and eggs. In other words: You will love them either way. 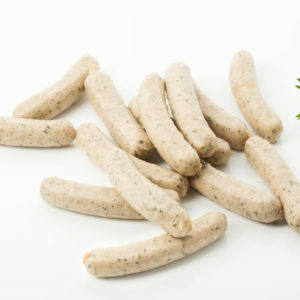 Marjoram and Caraway give the sausages the renown, beloved typical flavor. This special flavor will give your dish an authentic German twist. To prepare the Nurnbergs, grill or pan fry them to an evenly brown crispy color. Our Nurnbergs are the all rounders of our sausages. Try the different ways yourself and see what you like best. Also for some reason especially kids seem to love them. Check out all of our products here. We certainly never use MSGs or mechanically separated meat in our products. We believe that with the right sourcing of meat and using fresh ingredients you don’t need additives to get a great flavor. Make sure you try our sausages and judge yourself.